Welcome to Walker Key in Orange Beach! This large condominium is located right along the coast of Gulf Shores, Alabama. Our condominium complex is equipped with an indoor and outdoor pool, a hot tub, and free Wi-Fi. 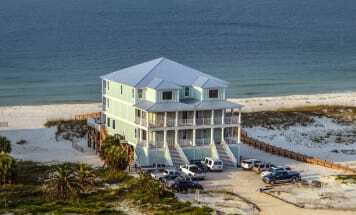 Emerald Coast by Owner is proud to offer you a large selection of vacation rental condos throughout the complex, all suited with elegance to meet your every vacation want or need. Activity-wise, you'll never go bored. Whether it's relaxing on the beach or going on a boat tour, deep sea fishing, paddle boarding, parasailing, and much more! Also, all throughout the general area are delicious eateries specializing in seafood and providing you with great service. Some of these local spots even are located right amongst the sand, giving you the perfect view while you enjoy your meal. Stay at Walker Key this year and make it your best trip yet, you won't regret it! Book your perfect vacation rental with Emerald Coast by Owner today! We offer hundreds of listings along Orange Beach, including Harbour Place. Book now! We make it easy for you to choose where and when you stay, so contact us with any questions.